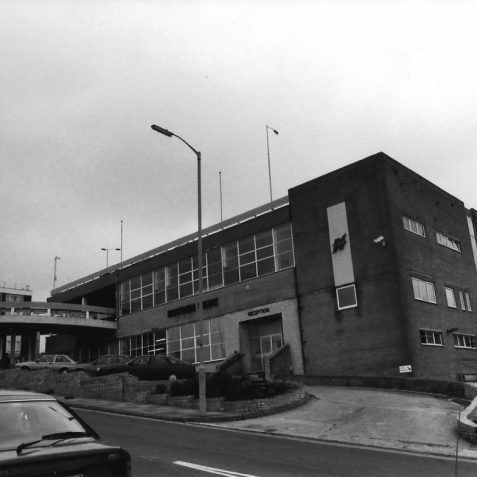 Let us go back to 1985 and take a walk around Hollingbury Industrial Estate. Remember back then, Margaret Thatcher was Prime Minister and also probably the reason the estate is so different today! 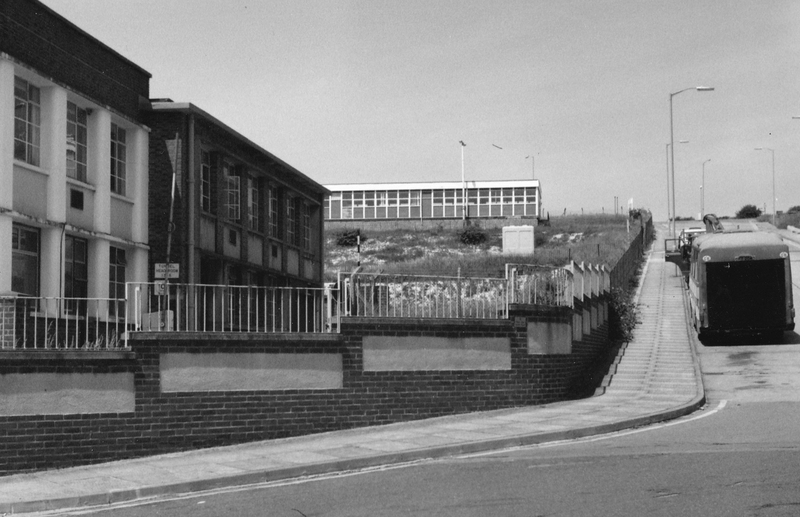 By 1985 manufacturing at Hollingbury was in decline; providing nothing like the level of employment of its past. Leave your Ford Sierra there mate, it’ll be fine, no parking restrictions this far out of town, let us have a look at this first building. 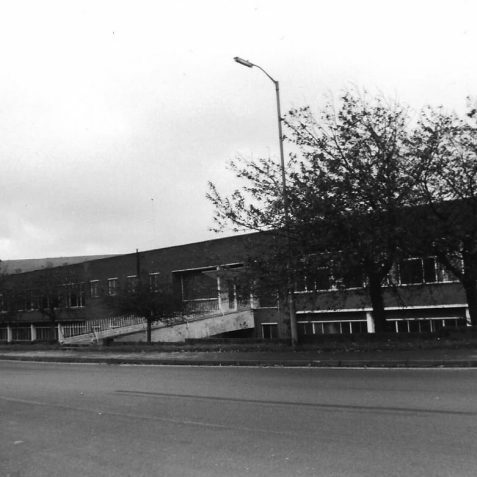 This factory, now occupied traditional furniture manufacturers Cameo, was constructed in 1948 for Ogdens Bakery. Probably the introduction of mass-produced sliced bread in 1928 was the reason for the “spread” of factories like Ogdens. 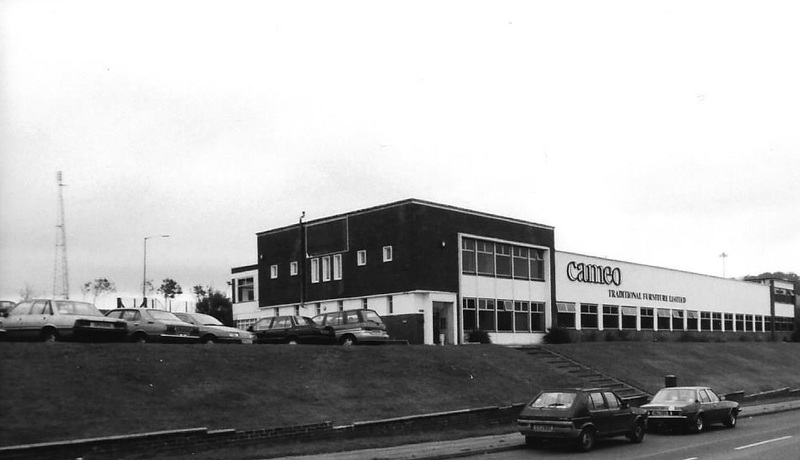 Cameo Furniture moved here from Regent Street when their town centre building burnt down. 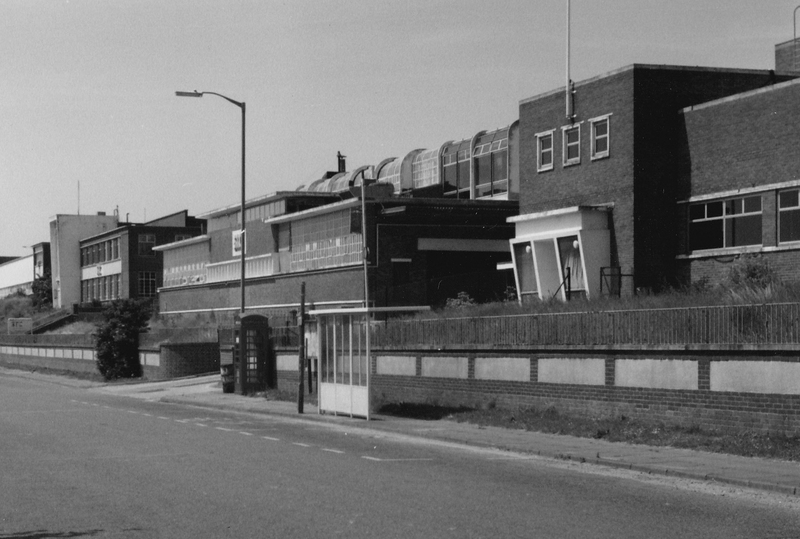 Right lets walk to the next factory; no time to put your Sony Walkman on, it is only a few minutes along Crowhurst Road. This factory was also constructed in 1948, originally for Underwood Business Machines, who were part of the iconic US Underwood Typewriter Company. 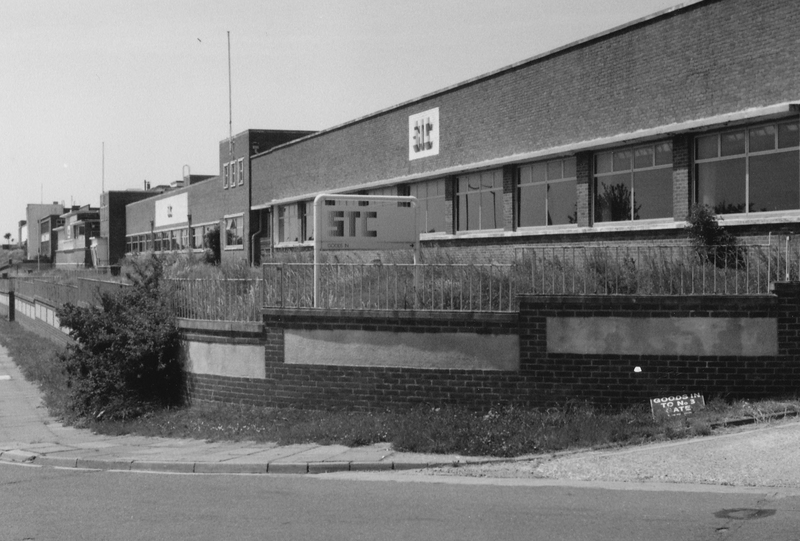 ITT Creed moved here from their Croydon facility in 1966. 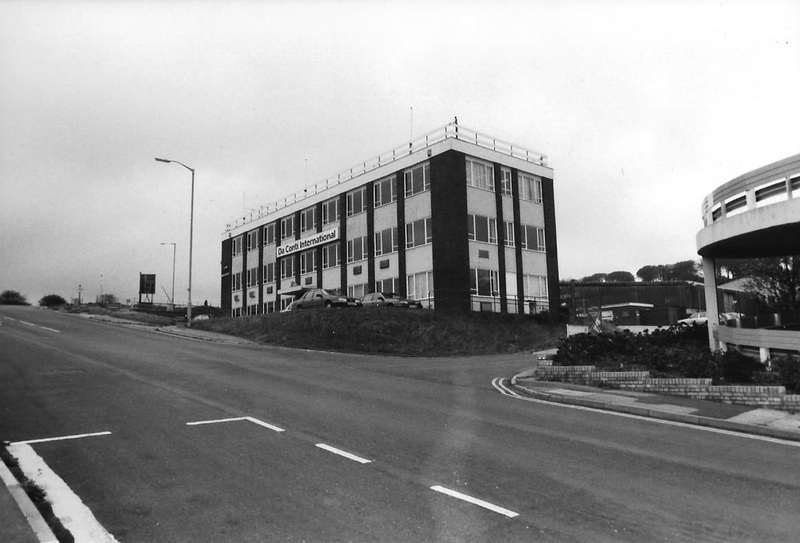 In the 1970’s ITT Creed were the largest employer in Hollingbury with around 2000 employees, however the business was transferred to STC in 1981. Moving on to the next building at the top of estate………..phew, that was a steep hill. I’ve got one of these new mobile phones thingies, they call them “brick phones”, I think that’s because the battery is about the same size as a brick, and so heavy to carry. 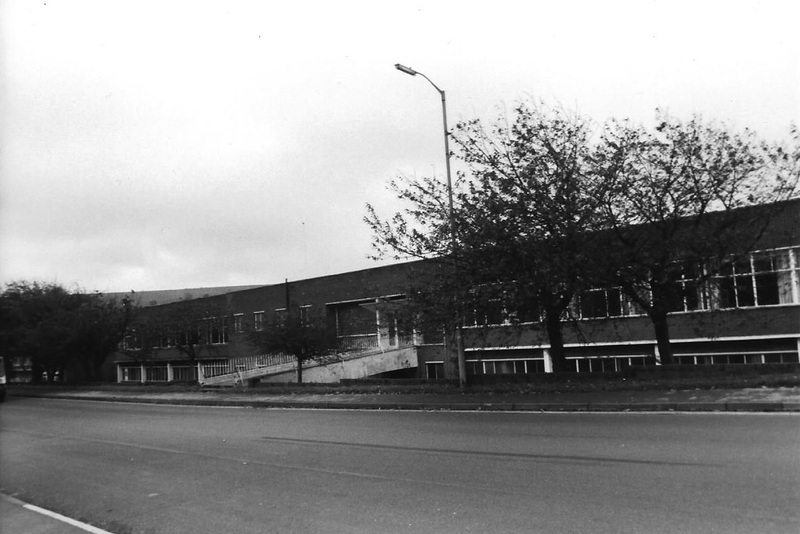 We are now at the top of the estate, the building opposite is currently occupied by Da Conti International. 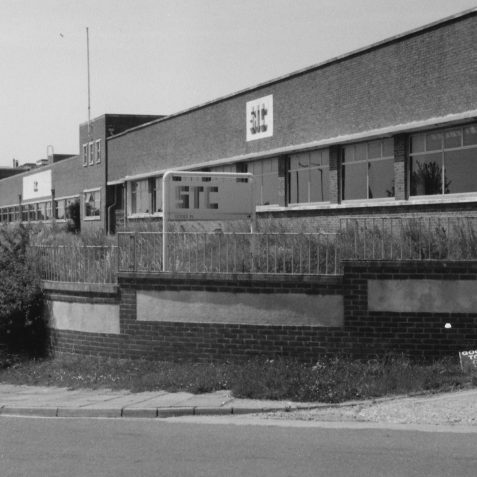 It was constructed in 1963 for S. M. Tidy Ltd, who operated a civil engineering business from the town centre since the 1930’s. As their plant became too big for the town they moved to Hollingbury. 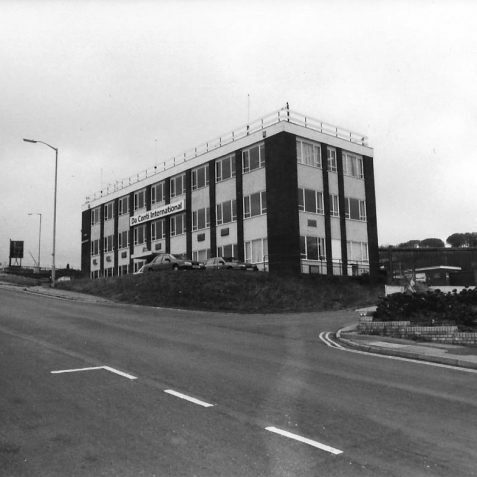 In the post-war period, they constructed most of the roads and sewers for the large housing estates in Hollingbury, Hollingdean and Bevendean. 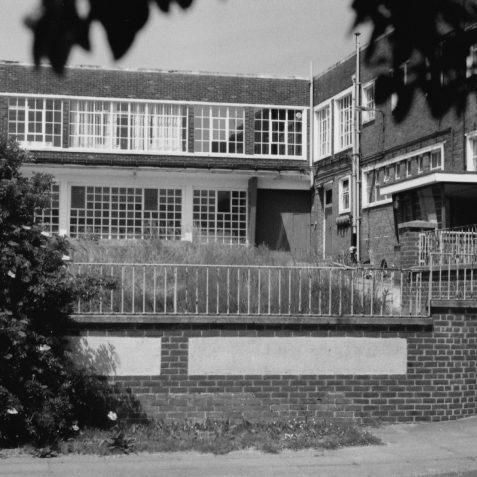 Their founder Sidney Tidy was a local philanthropist who died in 1980. 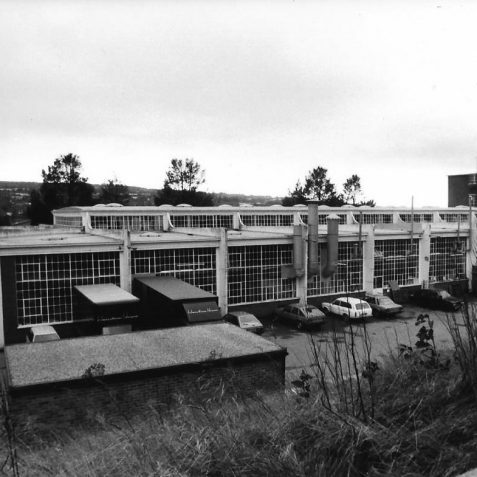 Let us walk back down the hill; the next building is currently occupied by Wade Engineering who manufacture pumps and compressors. 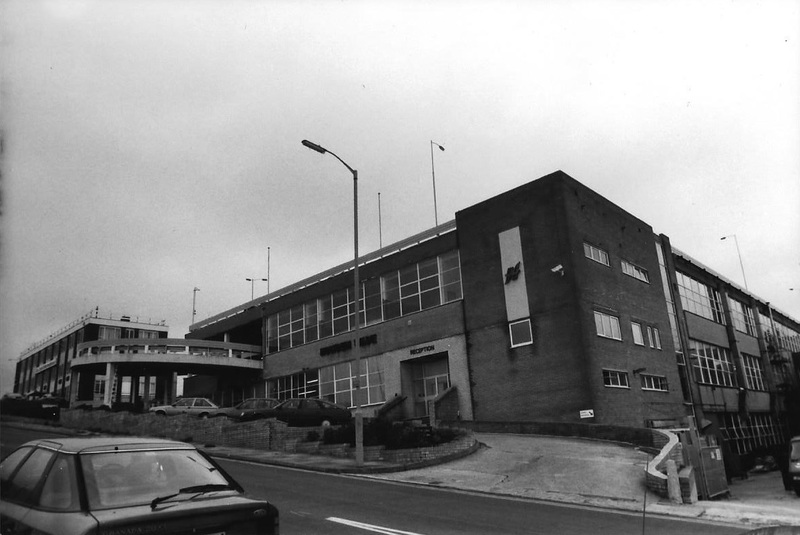 It has an unusual winding spiral access road through the front of the building to the roof car park. Hang on, just before we move on I have to take this phone call, my stockbroker……….. his advice is to buy TSB shares, they float next year. It is brilliant Maggie’s idea of shares for everyone, it seems no one has to work and we all make money. I do not really understand it but those clever bankers can’t all be wrong, can they? 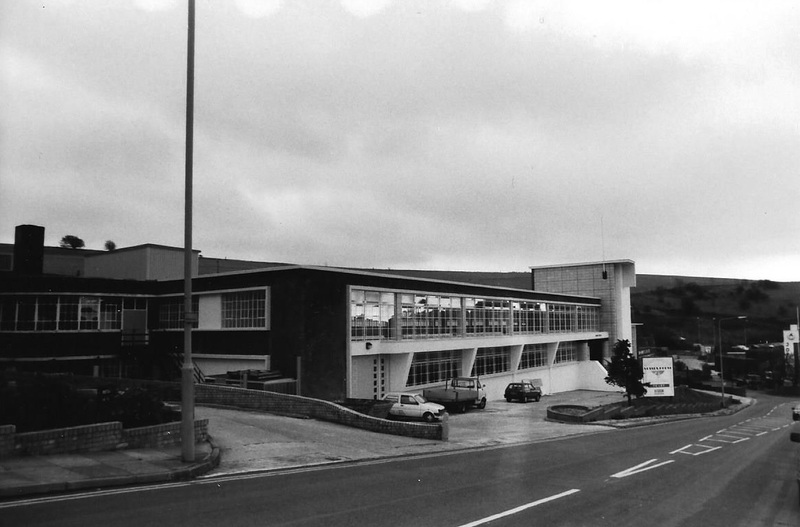 Now look at the building next door, it has a classic post-war design and such ‘graceful’ style, well for a factory. It was constructed in 1948 for Typewriter Sundries Ltd and then used by Gross Cash Registers, who did very well in the changeover to decimal currency. However, Gross failed to invest their profits into research and were losing their market share to American and Japanese companies. The Labour Government of the day wanted to prevent bankruptcy and Anthony Wedgewood-Benn, set up a deal where Chubb took over. 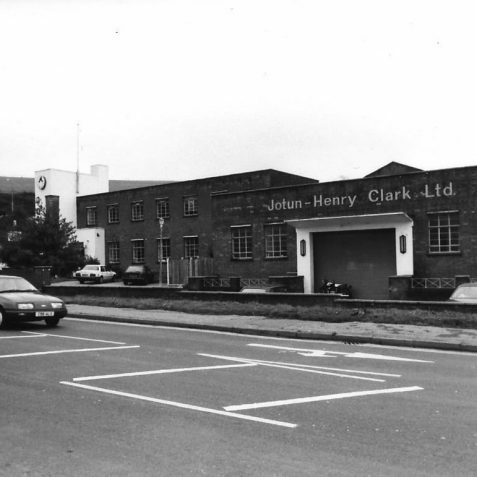 Walking down to the bottom of the hill; the building on the corner was completed in 1953 for Henry Clark & Son Ltd. 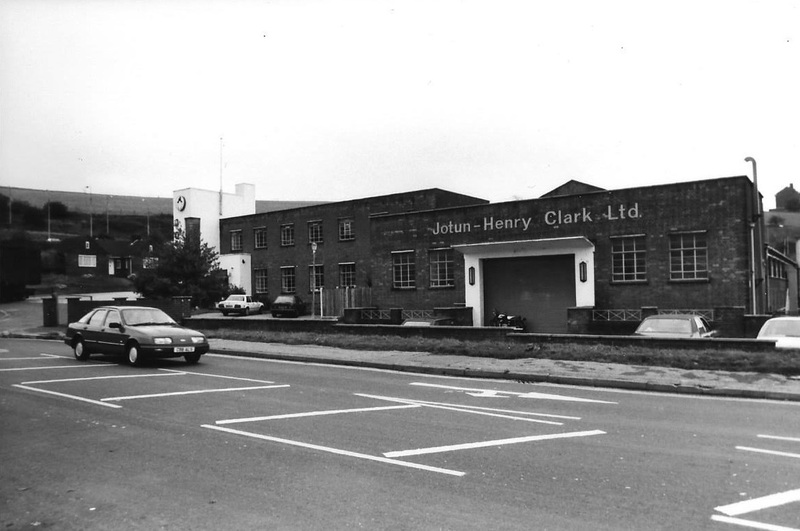 Surprisingly specialist marine paint manufacturer Henry Clark & Son were established, not by the sea, but in Reading in 1832. They had prestigious accounts with the Royal Navy and Cunard Line. 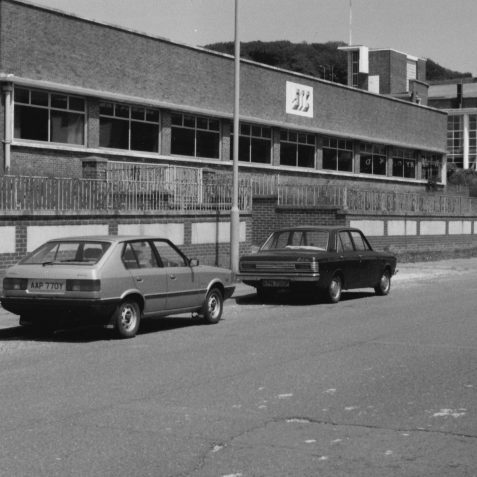 They moved to Brighton in 1953, and in 1974 they merged with Norwegian paint manufacturing firm Jotun, becoming one of the largest marine coatings manufacturers in the world. If we nip through this access road we’ll get a good view of the KTM factory. This rear section was constructed in 1956 and its mostly used for the manufacture of heavy machine components. The welding bay is at the very rear, where huge thick steel fabrications are arc welded together. They must use a huge amount of electricity, let us hope the miners don’t go on strike again, or they could be out of current! Lets go back out onto Crowhurst Road, watch out for the buses, so many of them arrive about this time of the day to take all the workers home, it can be a little congested. This next factory Leytool Ltd is due for demolition, it is a shame, I hope it’s not a sign of things to come? 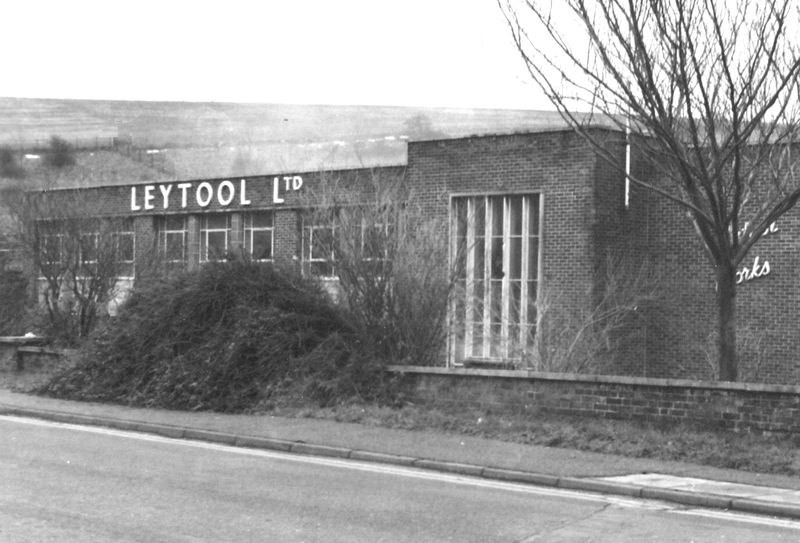 Leytool originated in Leyton East London and made assembly tooling and specialist hand tools to support the RAF during WWII. 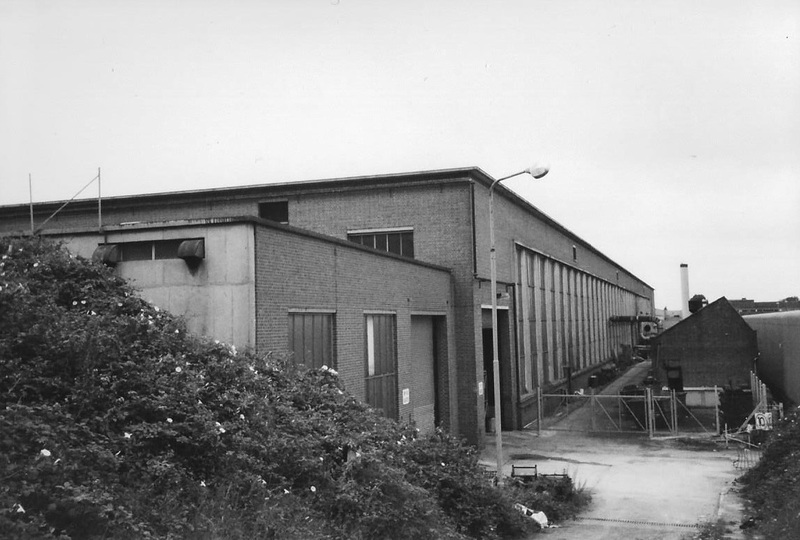 They were enticed to Hollingbury in 1949 when this factory was built, but also still also traded from their Layton factory. Talbot Tools were founded in London and had premises in Borough High Street near the river. Soon after the start of WWII, and at the at the behest of the Ministry of Aircraft Production, they relocated to Kings Street in Brighton to avoid the heavy bombing. 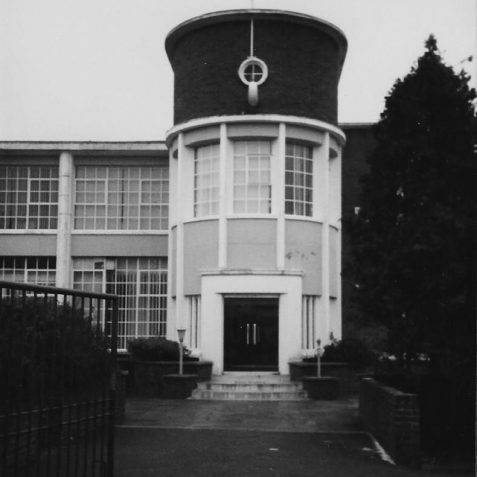 Soon after the war they moved to Roedale Road, however by 1958 they had outgrown the premises and with an eye to further expansion, bought out KDL Precision Engineers Ltd who were the original leaseholder of this factory. 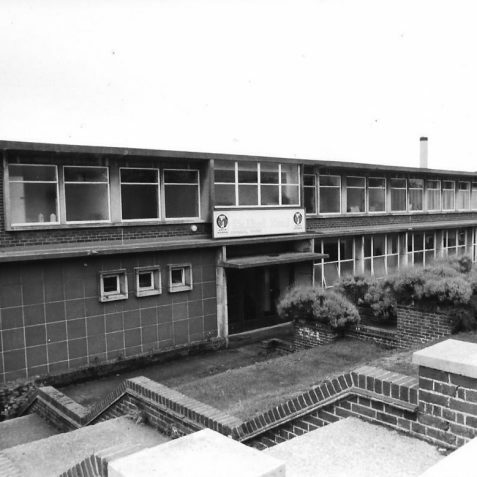 Staff at that time were bussed up from Roedale Road to see the new premises, and described going to Hollingbury as ‘a trip out into the country’. 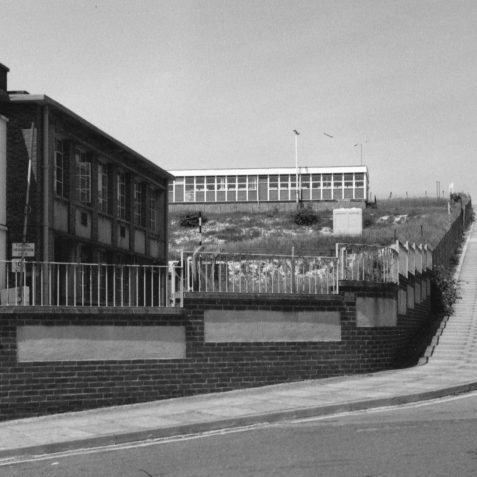 The factory was extended in 1968 and the Roedale Road works were closed. 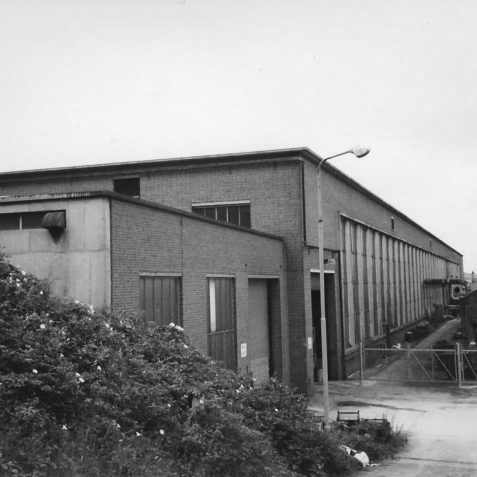 This factory was constructed for CVA Ltd in 1951, and was nominated “factory of the month” by the Institute of Works Managers. 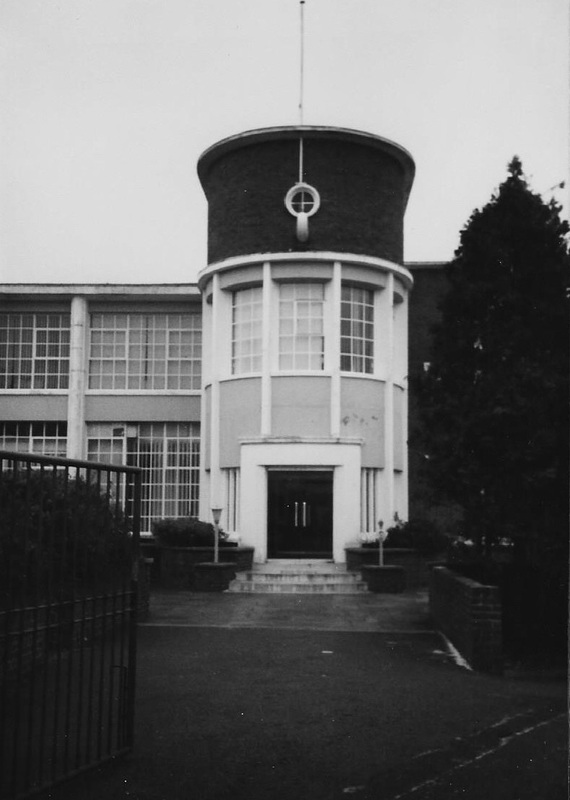 The Company closed their toolroom in Upper St James’s street and moved all toolmaking to the new factory in 1952. 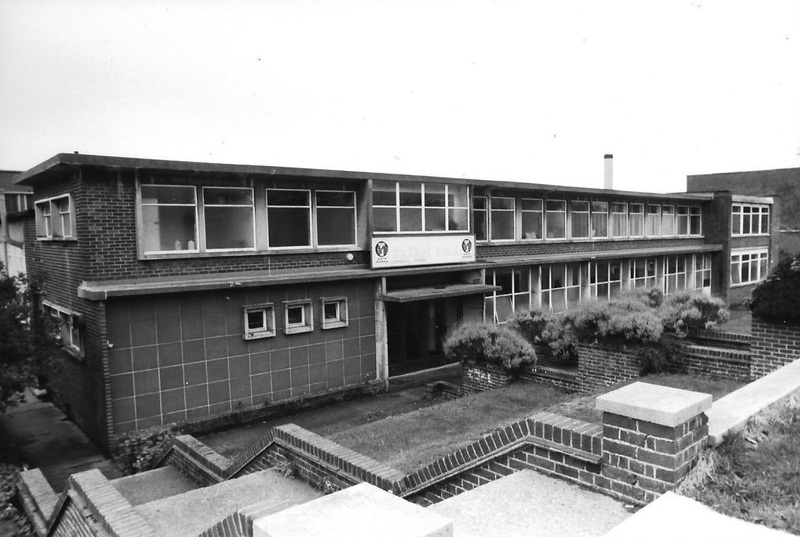 It was then CVA’s claim that they had “the finest toolroom in the country” here at Hollingbury. The Company has since downsized and consolidated into the factory behind. 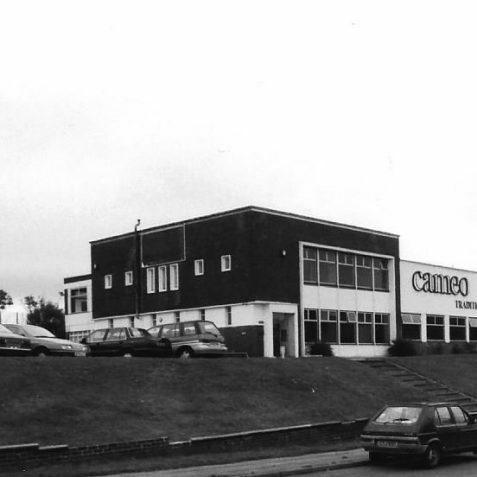 It is a shame the building is now empty, apart from being used for storage by Cameo Furniture. Hang on, I just need to check the time before we move on, I want to be home in time for that new soap, Eastenders. Pullars or Smith & Sons? There’s some confusion over this next building, was it first Pullars or Smiths? The answer is yes! 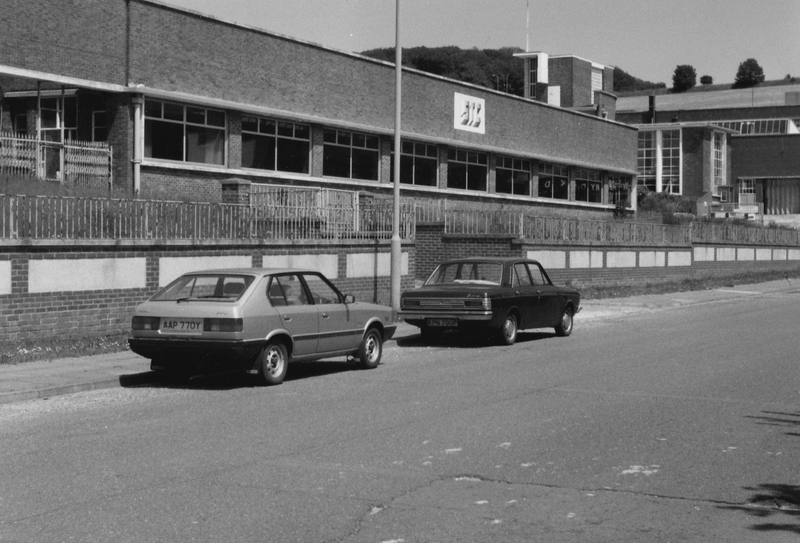 Pullars Electric was an old Brighton firm, who in 1937 were acquired by the huge instrument manufacturer Smith & Sons. Pullars, who manufactured cooker clocks, were just a small “cog” in the huge Smith empire. 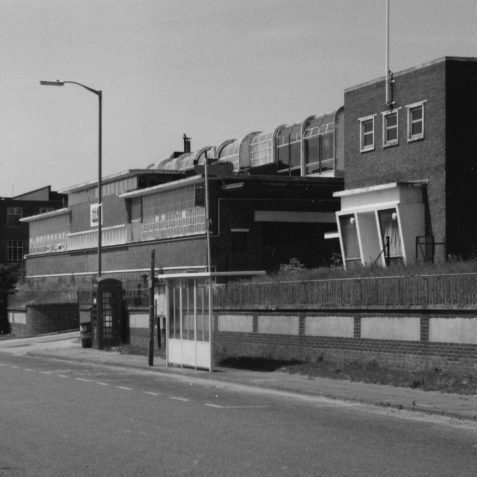 The group Smith & Sons changed their name to Smiths Industries Ltd in 1967, but it is probable that this factory still traded as Pullars in the early days. 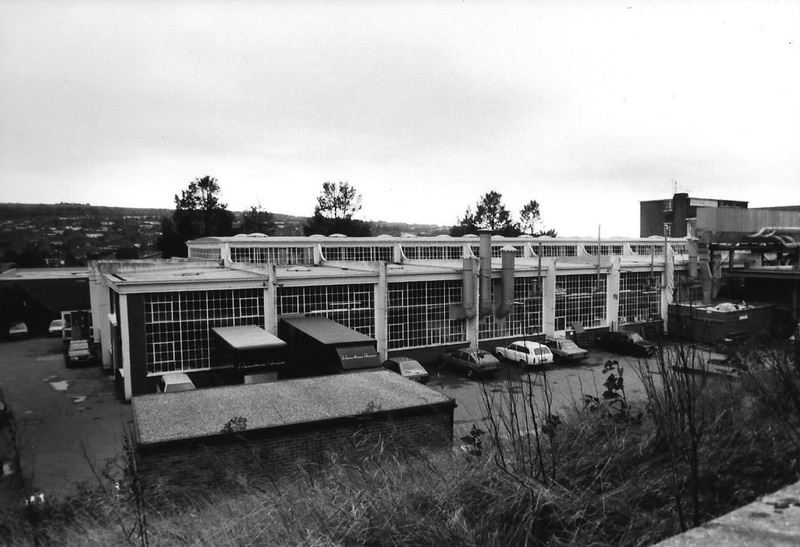 ITT Creed used the building for research and development after it was closed by Smiths in the 1970s. Sorry but I’ll have to leave you now, if you walk round the corner into Carden Avenue you’ll see the grand front entrance to Pullars. I’ve got to dash, I need to get “back to the future”!! Many thanks Geoff, lots more on Hollingbury Ind Estate to come, thanks again! I have just heard some sad news, Malcolm Pullinger who worked at CVA/KTM 1952 – 1982 passed away on 2nd Jan 2018. The funeral will be held at Woodvale Crematorium at 4pm on Thursday January 18th, and ex-colleagues are very welcome. In fact the family would be delighted to hear more about his working life at CVA/KTM! I send my apologies now as I cant attend, I am in China that week. I’ve posted on this page because he was the manager of the large welding facility shown here on the left. 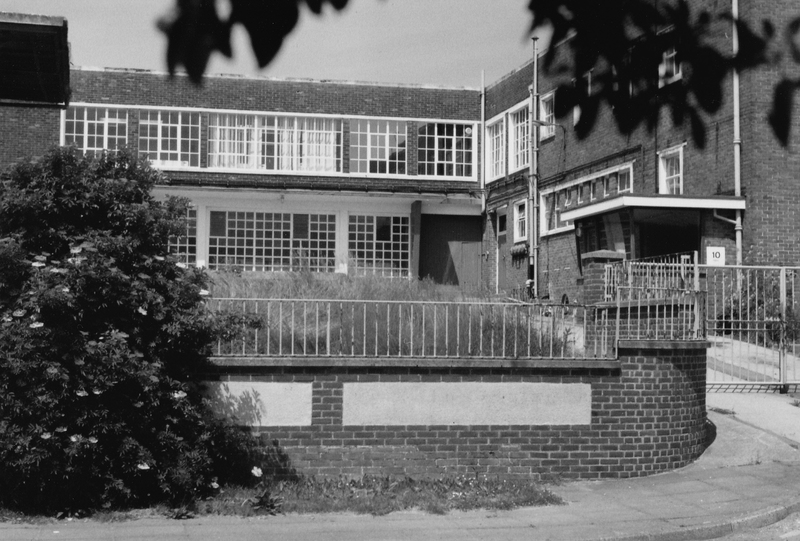 I am not sure of his early life at CVA, perhaps he started as an apprentice in 1952, I will have to check out the photo of the 1953 apprentices on the Portland Road page. 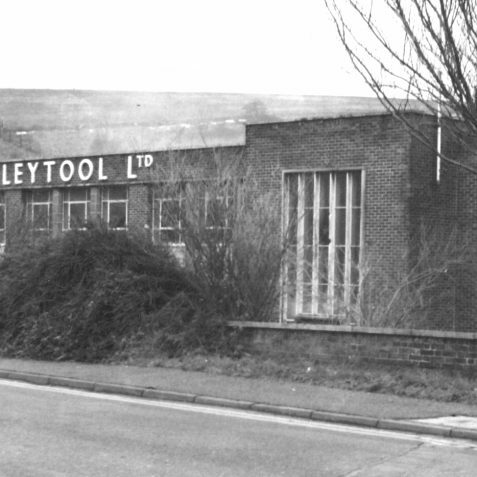 My Mum worked at Toolbot Tools for a few years back in the 70s. I worked here in 1966. Dave worked on the die cast machine and made the ding for the cookers! Dave worked here in 1966 on the die casting and the ding. Thank you Peter Groves. 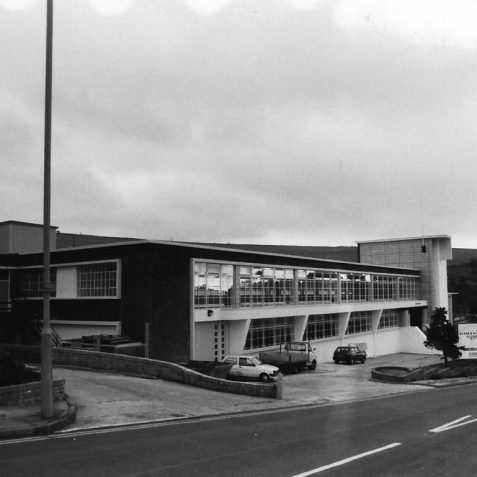 I have been searching for the building where I worked in 1966 /1967 such happy memories on my life journey. I actually made the ‘ding’ striker for the cookers in my time at Smiths. Any photos of workers in 1966? Thanks Peter, any photo would be kind. Do we know who was the Boss in 1966?